Vacuums are a household cleaning appliance that we tend to take for granted. 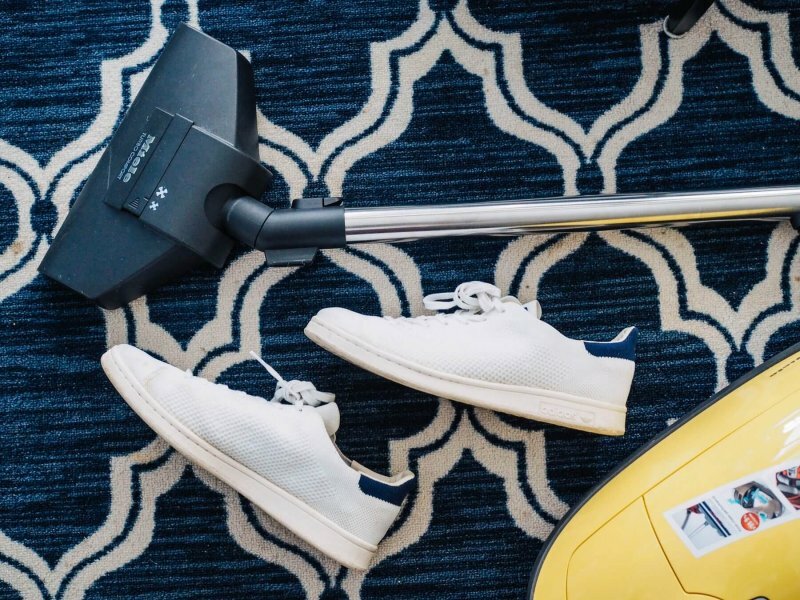 More than likely, you have at least one vacuum cleaner in your home for removing dirt/debris from your rugs and carpeting. You might even have a smaller and portable hand vacuum or a wet/dry vacuum (such as a ShopVac) for added convenience. Have you ever taken the time to think about how much easier owning a vacuum has made your life? Consider how you would ever be able to get all that everyday dirt and debris out of your home’s carpeting and rugs without one. Believe it or not, there was a time when vacuum cleaners didn’t exist! By having a better understanding of the history and evolution of the vacuum cleaner, perhaps you’ll have a new-found appreciation for these amazing little machines. Prior to the invention of vacuums, the only way to remove debris from rugs was to take them outdoors and shake them out—a task that could be time-consuming and arduous. In an effort to solve this everyday problem, an inventor by the name of Daniel Hess first introduced a machine that utilized bellows to stir up and collect debris from rugs and carpeting in 1860. In 1968, another inventor named Ives McGaffey created a device known as a Whirlwind, which had a similar design but operated using a belt system. While both of these devices were rather effective in removing debris, they were quite cumbersome to operate. In fact, the Whirlwind model required two people to use, which wasn’t practical for many consumers. Over time, more inventors worked to make vacuum cleaners easier to operate, with the first gas-powered vacuum being made available in 1898. Finally, in 1901, Herbert Booth released the first motorized vacuum cleaner. Many would agree that this marked the birth of the modern vacuum cleaner as we know it today. This vacuum was still quite heavy and awkward to operate, but it was a marked improvement over previous models. 1905 saw the introduction of the first truly portable vacuum cleaner, which used a unique water filtration system. It wasn’t until 1908 when William Henry Hoover purchased a patent for a vacuum design that would not only kick up dirt and remove it from a rug, but effectively pull it into a canister as well. This was the beginning of the Hoover vacuum brand that is still popular today. Throughout the 20th century and well into the 21st century, we continue to see improvements to the vacuum’s design. With the availability of lighter materials (such as plastic), vacuum cleaners gradually became lighter and easier to operate. Suction and filtration technology have also improved greatly over the years—and today, we even have battery-operated vacuums and self-propelled vacuums that will do the work for you! How Do Today’s Vacuums Work? Since the first vacuum cleaner was introduced in the 1800s, these machines have operated in a similar manner. Specifically, a vacuum cleaner works using bristles to kick and pull up dust and other debris from the fibers of a rug or carpet. From there, the debris is pulled into a bag or canister. The use of filters has also made vacuum cleaners much more efficient over the years. Prior to the introduction of filtration systems in vacuum cleaners, smaller debris particles would fail to be contained and would thus be released back into the air. Today’s vacuums combat this problem by using filters to trap these fine particles and prevent them from being re-circulated. Both High Efficiency Particulate Air (HEPA) and Ultra Low Penetration Air (ULPA) filters are used in vacuums to accomplish this task. Most of the vacuums sold in today’s market also use canisters rather than disposable bags to collect dust and debris. These canisters are more effective at containing particles and save you the hassle of replacing and disposing of bags. Instead, you can simply empty out the canister when it becomes full. Keeping vacuum canisters from getting too full is important because a clogged or over-full canister can block airflow and prevent a vacuum from properly suctioning. Now that you have a better understanding of the history of the vacuum cleaner and how these wonderful little machines work, is it time to upgrade yours? If you’re in the market for a new vacuum cleaner, there are a number of considerations to keep in mind as you shop. Begin by considering the motor power of the machine itself; for maximum suction, you’ll want to select a vacuum that has at least a 7-12 amp motor. You’ll also want to consider the specific features of the vacuum itself; are you looking for something basic, such as a standalone vacuum that plugs into the wall? If you need to do a lot of vacuuming of furniture and other harder-to-reach areas, you may want to shop for a vacuum with a removable, battery-powered detachment. Many vacuums also come with hose extensions so you can reach areas such as stairs, drapery, and more. Be sure to consider the filter that comes with your vacuum cleaner as well, as you’ll need to replace these from time to time for the best cleaning capability. Specifically, take some time to research replacement filter pricing so you don’t end up with sticker shock when it comes time to buy more filters. Some vacuum cleaners come with filters that can be washed and cleaned in order to be used more than once, which can save you money. When shopping for a vacuum, it’s also a good idea to read reviews and find out what kind of warranty (if any) the vacuum cleaner comes with for your added peace of mind. Even with the best vacuum cleaner on the market, vacuuming your home can be time-consuming. 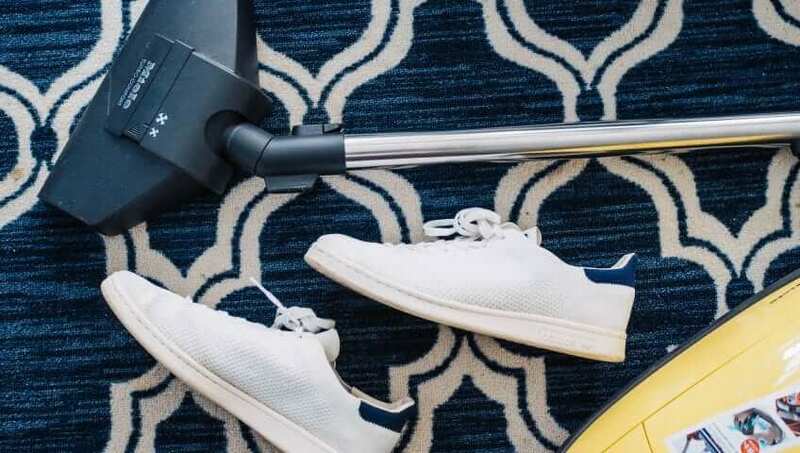 If you’d rather find other uses for your time, you may want to consider hiring a professional house cleaner to take care of your vacuuming and other basic cleaning tasks around your home. At Maid Sailors, we offer a wide range of professional cleaning services in New York City and the surrounding areas, and we pride ourselves in our transparent pricing. All of our cleaners are certified professionals, and we include all the cleaning products needed to make your house shine. Ready to book your appointment? You can do so online in as little as 60 seconds, or give us a call to find out more about what we have to offer. Maid Sailors likes to publish guest posts from experts who can provide unique and useful perspectives. This is a great opportunity for our readers to learn from you, and for you to get exposure to our readers and our syndication partners. Feel free to contact us here.